Show off your team pride in this LSU Tigers Gold Wordmark Tee Short Sleeve T Shirt! This LSU Short Sleeve Tee features a team graphic applied through non-PVC screen print. 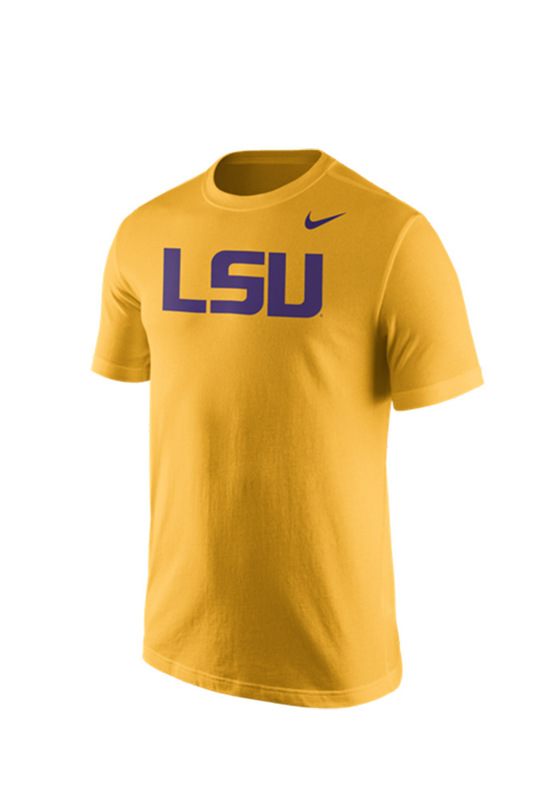 Make sure everyone knows you root for the Tigers with this Gold LSU T Shirt. Fight, Tigers! Love this t-shirt! Being Nike, I thought the price would be higher but it was cheaper than I could find anywhere else! It is super comfortable and doesn't fade after washing multiple times.